13 Above: I Will Be The First To Walk On Moon ! Guess Who ? BRITAIN’S first official astronaut could soon fulfil his lifelong dream of walking on the moon. In his only newspaper interview since being chosen for the European space programme, ex-Army major Tim Peake revealed a lunar walk is being discussed as a possible mission for him. The last lunar landing was by Apollo 17 in 1972 — the year Tim was born and three years after Neil Armstrong’s famous first steps on the moon. Now Tim, 37, faces nearly five years of intensive training before he’s ready for blast-off. He told his favourite paper last night: “This is a childhood dream. I have always wanted to go into space and have always been interested in exploration and pushing boundaries. “That passion is what pushed me into becoming a test pilot, and becoming an astronaut is one step further. 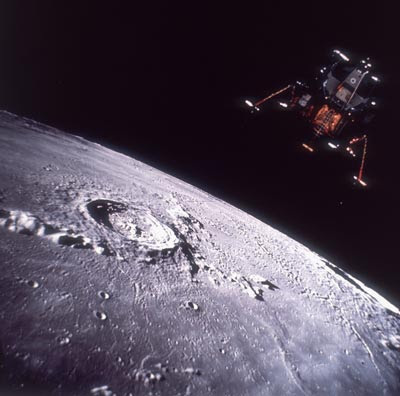 What I’m most looking forward to is being chosen for a mission, and a lunar walk would be a dream come true. “There are seven missions guaranteed between now and 2020 and at least one of those would be a lunar walk, so walking on the moon is a real possibility. Tim, of Salisbury, Wilts, got his Army Air Corps wings in 1994, becoming a test pilot and helicopter reconnaissance pilot. Tim, who has a baby son with wife Rebecca, was one of 8,500 applicants for the space programme. Just six made it through after months of medicals, exams and tests. ASTRONAUTS aboard the International Space Station yesterday toasted a scientific breakthrough . . . with drinking water produced from their recycled WEE. A new system collects the crew’s urine from the toilet and moves it to a huge tank where it is boiled. Water vapour is collected, mixed with SWEAT collected from condensation in the air, then filtered ready for drinking. The three-man crew raised their drinking bags and congratulated Nasa engineers who worked on the money-saving system, which will help provide water for outposts on the moon and Mars. US astronaut Michael Barratt said: “The taste is great."